Come to Hughes Springs where "Hospitality is a Habit". Nestled in the Piney Woods of Northeast Texas, in Cass County. Settled in the early 1800's and still growing Hughes Springs offers a lot for a small town. Offering places to relax and just enjoy life or plenty of shops and sites, just minutes away from several recreational lakes and other attractions. With an inviting downtown featuring eateries, shops, Veterans Memorial Wall, Bed and Breakfasts, and multi-use, family-friendly city parks. Hughes Springs Independent School District is a great school district that is growing and excelling every year. In March 2005 Hughes Springs was featured in the article "Road Trip to Spring (TX)” Southern Living Magazine, "Dares you to detour, and explore one of the less-traveled farm roads. 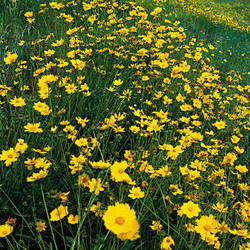 Discover endless fields of wildflowers and small-town charms on this East Texas Drive." In 2016, Hughes Springs was honored to be listed in the book, "Explore Texas: A Nature Travel Guide."